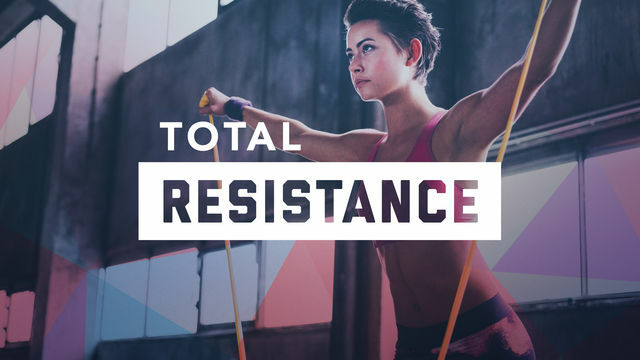 Resistance bands are a great strength training tool whether you are an at-home fitness guru, love to workout at the gym or even if you like to take your workouts to the great outdoors! Bands are easy to travel with, take up minimal space and are cheap, making them the perfect piece of equipment for getting your workouts in anywhere! Not only are bands convenient, but they are very effective for toning muscles and gaining strength. This program offers a variety of workouts targeting your upper body, lower body, full body and even cardiovascular system! Have a couple of sets of resistance bands, with varying resistance levels ready for these workouts. If your strongest band is too light, you can double them up for greater challenge.